What do oligarchs drink on the weekend? Probably this. If they're lucky, that is. Sample shipments are often composed of wines promoting the breadth of a producer's portfolio. For example: a chardonnay, a sauvignon blanc, a merlot, and a cab. For producers specializing in a single variety, on a rare occasion the shipment will be smattering of single vineyard bottlings. But the rarest is a shipment including the same bottle from different vintages. Being able to taste sibling wines from different vintages allows for identification of commonalities and the winery's thumbprint. 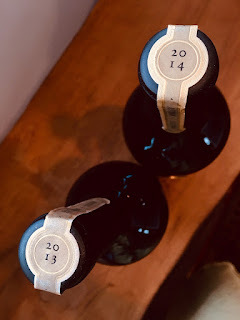 So, when the package containing one cab from 2013 and another from 2014 arrived from Calla Lily Estate, I was intrigued. 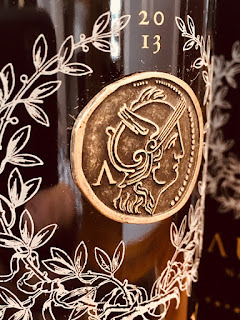 Calla Lily Estate is a relatively young, small production winery founded in 2010 in the Pope Valley, a quiet valley in the northeast corner of Napa county. 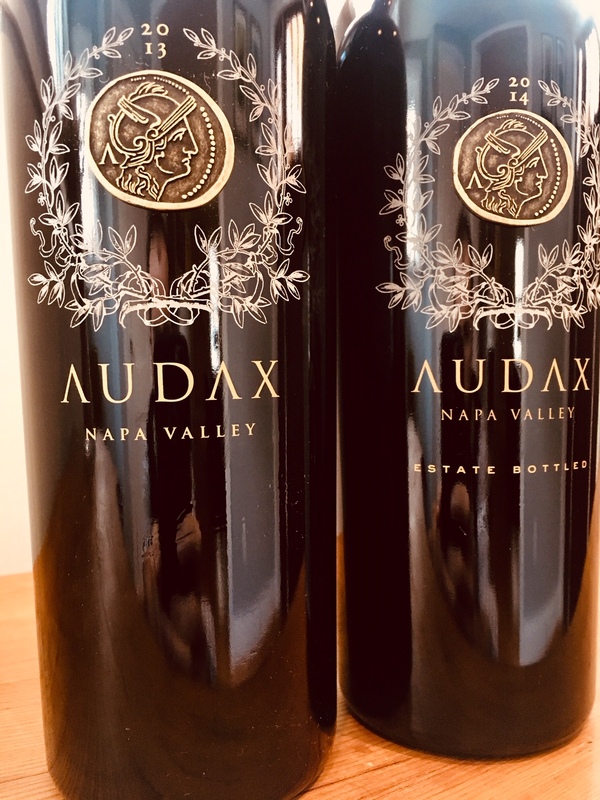 And Audax is their top tier cabernet label. I had never heard of the winery, but that's not surprising as Napa is home to hundreds of small producers. based on these releases, however, this estate won't remain under wraps for too long. 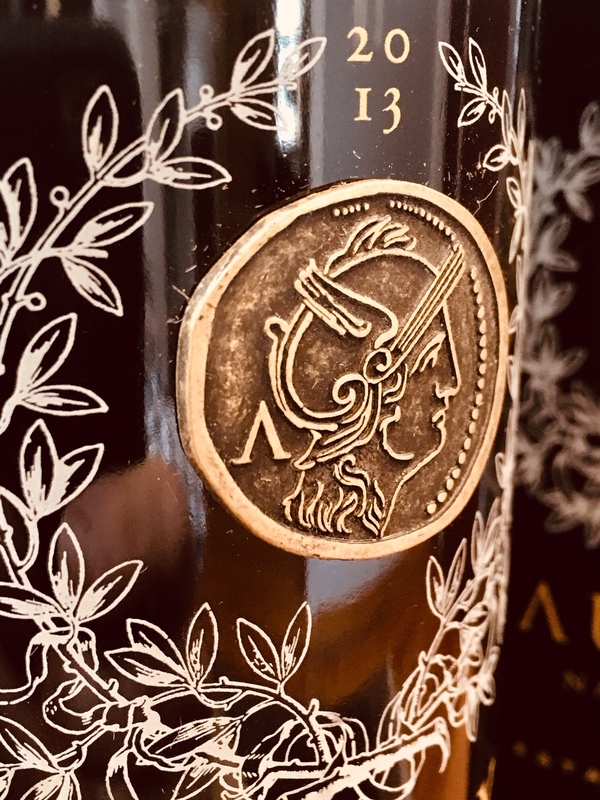 Packaged in polished, dark, bunker-buster bottles (more than twice the weight of typical 750ml bottles) finished with raised gold lettering and and ancient looking coin emblem, these bottles just look expensive. With that as an introduction, you might expect a viscous, syrupy juice to ease into the glass. Instead, both vintages offered gleaming ruby splashing with confidence. Could the color indicate what was to come in the palate? Both vintages are in possession of unmistakable classic Napa Valley characteristics: prominent nose showcasing the brooding side of cabernet, prodigious fruit, broad shouldered framing from a French oak regimen, and elegant mouth-puckering tannins. Cassis, date, and plum dominate, while suggestions of eucalyptus, vanillin, cedar, and dust round out the complex flavor experience. 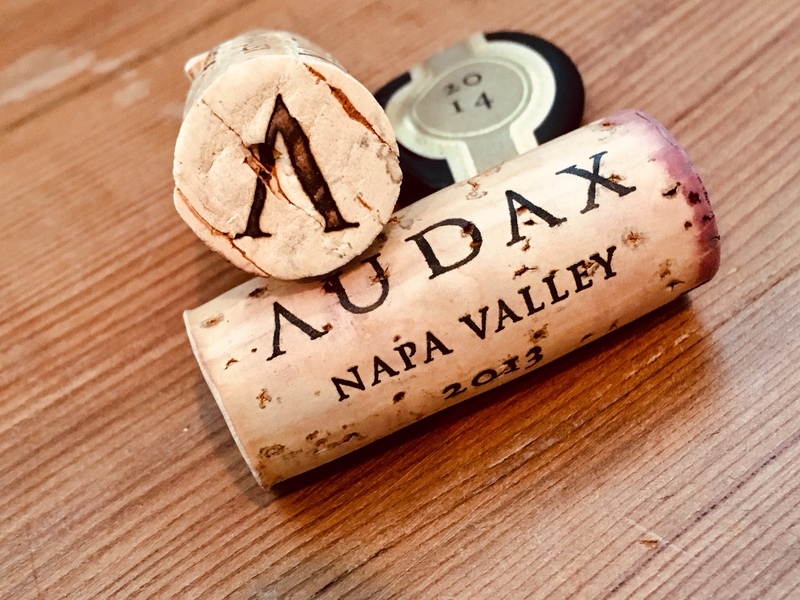 These wines are so clearly siblings, but the 2014 is everything the 2013 is, plus-plus. All the desirable attributes of the 2013 are amplified in the 2014. It’s a more intense version of its slightly older sibling and bangs a strong tannic drum. A fatty steak would help tame its youthful vigor. These sublime wines will go some distance in the bottle stored under the right conditions. Not that I am one to score wine on points, but these are solid 95+ pointers just in case you are looking for a relative gauge of quality.